I am very excited today because this is my first project for the Crafty Boots store Design Team. There are so many wonderfully talented ladies on this team and it is such a trill to join them. As you can imagine, I wanted something really special for my first DT project but deciding just what to do was so hard, there are just so many stamps available from the Crafty Boots Store. Between you and me, I actually made several projects before deciding on the stamp for my inaugural piece. In the end I selected something from one of my favourite artists and chose Queenie and Princess from the Saturated Canary range. 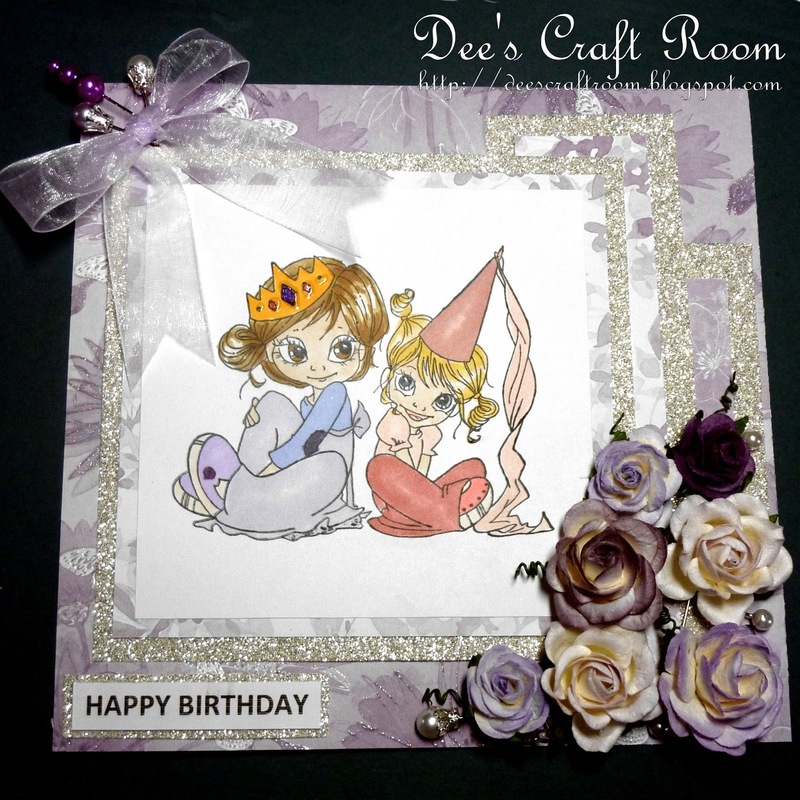 I stamped the image on Crafty Boots Deluxe Crafter's Card and coloured it with Promarkers. I then layered it on papers from Papermania and Stampin' Up Glimmer Paper. The flowers and most of the hat pins are from Wild Orchid Crafts. 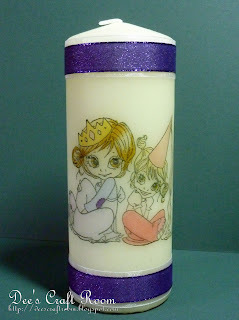 As this was my first project, I wanted to make it a little bit special, so I also made a matching candle. I have never tried to colour the image for a candle before and was not sure whether it was possible to colour tissue with Promarkers, but as you can see, it worked really well. I can assure you that this will not be my last coloured candle. Gorgeous set! Love the card and matching candle with the image you used. Beautiful colour palette and finishing touches as well.